Throw on your over sized boxing gloves and padded gear and knock your opponent out! 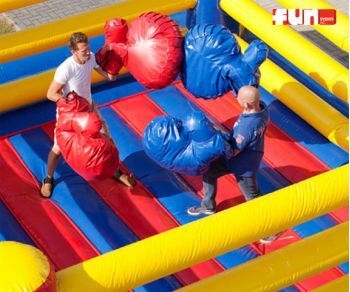 This inflatable fighting boxing ring attraction is sure to bring laughter to both participants and spectators. Fun Events will supervise this activity. 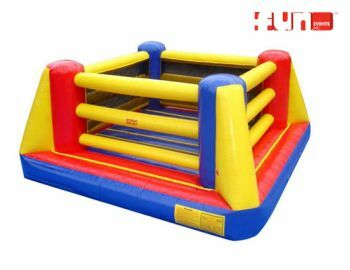 Comes with over sized boxing gloves and all other gear.